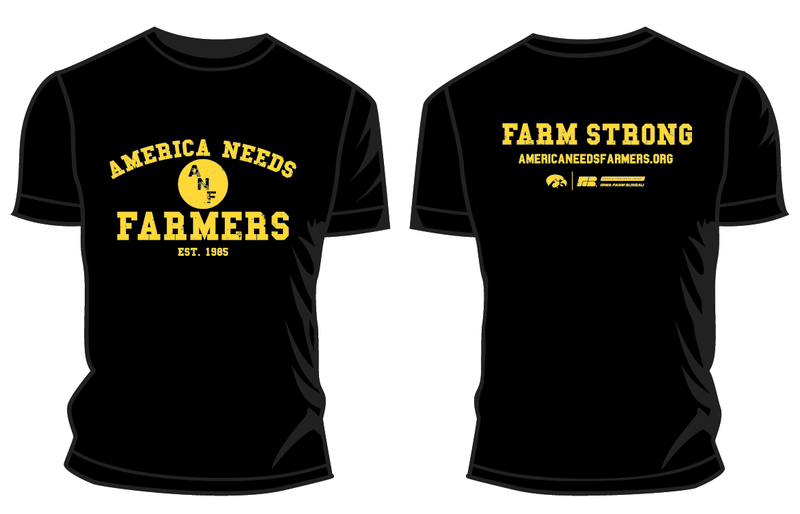 Black short sleeve tee with ANF front and Farm Strong Farm Bureau design back. 6.1 oz., 100% preshrunk cotton tee. We love these shirts and our family is proud to wear them!